Married Name 28 September 1957 As of 28 September 1957,her married name was Koenecke. Marlene Luetkens was born on 20 September 1938 at Wisconsin. She was the daughter of Lorenz August Luetkens and Ruth Bergman. Marlene Luetkens died on 6 January 2014 at age 75 Marlene L. Koenecke, age 75, of Reedsburg, joined our Father in Heaven on Monday, January 6, 2014 at Our House Senior Living in Reedsburg. She was born on September 20, 1938 in the Township of Westfield, Sauk County, the daughter of Lawrence and Ruth (Bergman) Luetkens. She married Martin Koenecke on September 28, 1957 at St. John's Lutheran Church in Loganville. They enjoyed 56 years together, working side by side to build several businesses in Reedsburg. She was a lifelong member of St. John's Lutheran Church where she taught Sunday School and actively participated in many events supporting the congregation. Marlene enjoyed extensive travel with her husband and had a special memory of a family trip to Germany, the home of her ancestors. She loved to surround herself with friends and family on every occasion and appreciated visitors any time, day or night. With her engaging smile and infectious laugh, she touched many hearts. Survivors include her husband, Marty; three children: Carol (Chris) Koenecke-Grant, of Champaign, IL; Kurt (Patty) Koenecke, of Reedsburg and Lisa Koenecke, of Madison; She cherished her grandchildren: Michael and Katie Grant, Joseph and Claire Koenecke. They were the light of her life. Marlene is further survived by two sisters: Vernice Schultz and Delores Harms; three brothers-in-law: Henry Koenecke, Donald Schultz and Errol Beth; two sisters-in-law: Anne Beth and Mary Ann Koenecke; many nieces and nephews; other relatives and friends. She was preceded in death by her parents; her grandson: Jacob Koenecke; her brother: Norbert Luetkens; her sister: Vera Mae Hahn; brothers-in-law: Wilbert Harms, Merlin Koenecke and Orville Hahn as well as her sister-in-law: Bertha Koenecke. Funeral services will be conducted at 11:00 A.M. on Friday, January 10, 2013 at St. John's Lutheran Church in Loganville with Pastor Tim Anderson officiating. Interment will be in St. John's Cemetery. The family will receive friends from 4:00 P.M. to 8:00 P.M. on Thursday at the Hoof Funeral Home, 312 N. Park Street, Reedsburg. In lieu of flowers, memorials to St. John's Lutheran Church would be appreciated. The Hoof Funeral Home is serving the family. 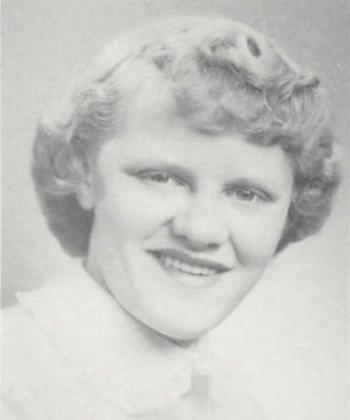 Marlene Luetkens graduated in 1957 at Webb High School, Reedsburg, Sauk, Wisconsin. Ralph Liegel was born circa 1935 at Wisconsin. He was the son of Alois George Liegel Sr. and Louise Ruland. Ralph Liegel died before 2017. Name Variation Gerald Liegel was also known as Jerry. Gerald Liegel was born circa 1938 at Wisconsin. Gerald Liegel died before 2017. Name Variation Louis Nachreiner was also known as Louie. Louis Nachreiner was born on 2 May 1932 at Wisconsin. He was the son of Ernest Nachreiner and Mary Ruland. Louis Nachreiner married Helen Keller on 2 January 1956. Louis Nachreiner died on 23 May 2015 at age 83 Louis “Louie” Nachreiner, age 83 of Plain, passed away on Saturday, May 23, 2015, at Greenway Manor Nursing Home in Spring Green. Louie was born May 2, 1932 to Ernest and Molly Nachreiner. He married Helen Keller on January 2, 1956. They had two children, Tim and Stephanie. Louie is survived by his wife Helen, son Tim, a sister Arlene and a brother Don. He was preceded in death by his parents Ernest and Molly and daughter, Stephanie. Per Louie’s wishes there will be no service held. Married Name 23 June 1951 As of 23 June 1951,her married name was Jones. Betty Hilda Bindl was born circa 1932 at Wisconsin. She was the daughter of Anton Henry Bindl and Irene M. Heiser. Betty Hilda Bindl married Dwayne L. Jones on 23 June 1951 at Reedsburg, Sauk, Wisconsin, Betty Hilda Bindl and Dwayne L Jones engagement announcement. Betty Hilda Bindl graduated in 1950 at Reedsburg High School, Reedsburg, Sauk, Wisconsin. Married Name 23 April 1946 As of 23 April 1946,her married name was Bladl. Florence Nachreiner was born on 16 September 1921 at Wisconsin. She was the daughter of Rudolph Simon Nachreiner and Rosella Heiser. Florence Nachreiner married Irvin Bladl on 23 April 1946. Florence Nachreiner died on 24 October 2001 at age 80. Jerome A. Nachreiner was born on 17 January 1927 at Plain, Sauk, Wisconsin. He was the son of Rudolph Simon Nachreiner and Rosella Heiser. Jerome A. Nachreiner died on 22 September 2014 at age 87 Jerome A. Nachreiner, 87, of Plain, passed away on Monday, September 22, 2014, after a long and courageous battle with diabetes and related complications. He was born in Plain, Wisconsin on January 17, 1927, to Rudolph and Rose (Heiser) Nachreiner. On June 23, 1948, he married Evelyn Albers in Baraboo. He started his cheese making career at a very young age for Harry Luther in Plain. He and Evelyn continued his career together as manager of the Retreat Cheese Factory until 1964, where he won numerous ribbons at the county and state fairs. They returned to Plain to farm and worked hard side by side. During this time he also drove school bus for 32 years. Jerome enjoyed fishing, hunting, snowmobiling, the Milwaukee Brewers, and driving his 4-wheeler in his woods. He loved watching the white deer visit his property every day. He was one of the founding members of the Hillcrest Riders Snowmobile Club and was treasurer of the Sauk County Snowmobile Association. He worked hard at helping build the area snowmobile trails. He was known for his Christmas light display that brought many people to the valley to view. He took great pride when he knew somone had stopped to look. His biggest joy was his wife of 66 years, and all his family. He is survived by his wife Evelyn. Three children, Dennis (Tracy) of Genoa, Susan (Mark) McCluskey of Bettendorf, Iowa, and Mary Beth (Jeff) Behrens of Richland Center; grandchildren, Jeremy, Jeff, Kelly, Tyler and Chelsey and 10 great grandchildren; sister, Freida Brei of Plain and numerous nieces and nephews. He was preceded in death by his parents, infant brother Clarence, brother Harry Nachreiner, sisters Florence Bladl and Rosemary Radel, brothers-in-law Walter Albers, Irvin Bladl, Lloyd Radel and Frank Brei, sisters-in-law, Zita and Norma Nachreiner, and daughter-in-law Marcia Hyatt Nachreiner. Special thanks to Dr. Colllins; Dr. Chan, Linda and nurses of UW Dialysis, as well as Maplewood staff for their care. Special thanks to Gary Nachreiner for always being there to help. A Mass of Christian Burial will be held on Friday, September 26, 2014 at 11:00 A.M. at St. Luke’s Catholic Church in Plain. Fr. Mike Resop will officiate with burial in the church cemetery. Visitation will be held on Thursday, September 25, 2014 at St. Luke’s Catholic Church from 4:00 P.M.-7:00 P.M. and again on Friday from 10:0 A.M. until the time of Mass. In lieu of flowers, memorials may be made to St. Luke’s Catholic Church, Plain or the American Kidney Fund. The Richardson-Stafford Funeral Home in Spring Green is assisting the family with the arrangements. Name Variation Rosemary Nachreiner was also known as Rose Mary. Married Name 4 September 1948 As of 4 September 1948,her married name was Radel. Rosemary Nachreiner was born on 6 August 1929 at Plain, Sauk, Wisconsin. Rosemary Nachreiner married Lloyd Radel, son of Roy Radel and Stella Jones, on 4 September 1948. Rosemary Nachreiner died on 29 April 2014 at age 84 Rosemary A. Radel age 84 of Spring Green passed away unexpectedly on Tuesday, April 29, 2014 at her residence. She was born on August 6, 1929 in Plain, WI the daughter of Rudy and Rose (Heiser) Nachreiner. Rosemary was married on September 4, 1948 to Lloyd Radel. Survivors include, 4 children, James (Ellen) Radel, Lee (Donna) Radel, David (Elaine) Radel and Jayne Davidson all of Spring Green, 10 grandchildren, Jamie Radel, Jill Samayoa, Erin Radel, Tara Anding, Tadd Radel, Trigg Radel, Amy Stoddard, Deidra Martin, Brooke Huettner, Jade Davidson, 16 great grandchildren, 2 siblings, Freida Brei and Jerome (Evelyn) Nachreiner both of Plain, 7 in-laws, Avalyn Stark, Elaine Schaefer, Joyce (Chet) Howard, Eloise (Bill) Nicholson, Lorraine (Cyril) Feiner, Marlyn (Liz) Radel, Monica Radel, many nieces, nephews, other relatives and friends. She was preceded in death by her parents, Rudy and Rose Nachreiner, her husband, Lloyd Radel, a grandson, Mitchell Davidson, 2 siblings, Harold Nachreiner and Florence Bladl, a brother-in-law, Duane Radel and a sister-in-law, Juan Johnson. A Mass of Christian Burial will be held on Friday, May 2, 2014 at 10:30 A.M. at St. John’s Catholic Church in Spring Green. Fr. Mike Resop will officiate with burial in the Spring Green Cemetery. Visitation will be held on Friday at the church from 9:30 A.M. until the time of Mass. The Richardson-Stafford Funeral Home in Spring Green is assisting the family with the arrangements. Married Name 10 May 1962 As of 10 May 1962,her married name was Wipperfurth. Mary Ann Brickl was born on 1 February 1933 at Wisconsin. She was the daughter of Anton J. Brickl and Annie M. Lins. Mary Ann Brickl married Werner M. Wipperfurth, son of Werner Wipperfurth, on 10 May 1962. Mary Ann Brickl died on 20 January 1987 at Sauk, Wisconsin, at age 53. Cyril Liegel was born on 26 April 1917 at Wisconsin. He was the son of Herbert J. Liegel and Catherine Brechtl. Cyril Liegel died in April 1973. Name Variation Delores Liegel was also known as Deloris. Name Variation Delores Liegel was also known as Dolores. Married Name 11 January 1941 As of 11 January 1941,her married name was McDonald. Delores Liegel was born on 6 November 1919 at Plain, Sauk, Wisconsin. She was the daughter of Herbert J. Liegel and Catherine Brechtl. Delores Liegel married Louis McDonald on 11 January 1941. Delores Liegel died on 16 November 1988 at age 69. Name Variation Greg H. Liegel was also known as Gregory. Greg H. Liegel married Jean (?). Greg H. Liegel was born on 8 March 1926 at Wisconsin. Greg H. Liegel died on 18 November 1996 at age 70. Married Name Her married name was Oehrlein. Gertrude Hausladen married Emmert Oehrlein. 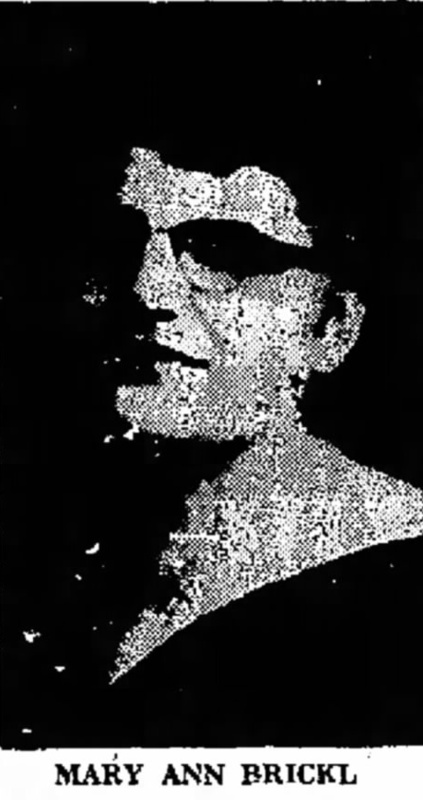 Gertrude Hausladen was born circa 1921 at Wisconsin. She was the daughter of George Hausladen and Lola Theresa Pulvermacher. Name Variation George Hausladen was also known as Georgie. George Hausladen was born circa 1926 at Wisconsin. He was the son of George Hausladen and Lola Theresa Pulvermacher. George Hausladen died before 1998. Marcus Hausladen was born circa 1927 at Wisconsin. Marcus Hausladen died before 1998. Louis Hausladen was born circa 1930 at Wisconsin. Louis Hausladen died before 1998. Name Variation Laurence Feiner was also known as Larry. Laurence Feiner married Bernadine (?). Laurence Feiner was born circa 1922 at Wisconsin. He was the son of Rudolph Joseph Feiner and Mary A. Ederer. Laurence Feiner died in 1971. Raymond Francis Feiner was born on 5 June 1925 at Franklin, Sauk, Wisconsin. Raymond Francis Feiner married Loretta Koehl on 12 April 1947. Raymond Francis Feiner died on 20 December 1990 at age 65 Raymond Francis Feiner obituary. John Feiner married Vera (?). John Feiner was born circa 1929 at Wisconsin. John Feiner died after 1990. Married Name 1939 As of 1939,her married name was Liegel. Arlene Schweiss was born on 27 August 1920 at Wisconsin. She married Herman D. Liegel, son of Herman C. Liegel and Victoria Brickl, in 1939 Sauk county marriage license reported in The Capital Times 27 Aug 1939. [S373] U.S. Federal Census 1940 U.S. Federal Census, by Ancestry.com, Year: 1940; Census Place: Franklin, Sauk, Wisconsin; Roll: T627_4523; Page: 4A; Enumeration District: 56-14. Florian Grauvogl was born on 17 April 1925 at Wisconsin. He was the son of Otto John Grauvogl and Pearl Hemberger. Florian Grauvogl married Darlene Caroline Bender, daughter of Edward F. Bender and Mable L. Mallon, on 24 July 1948. Florian Grauvogl died in 1998. [S250] U.S. Federal Census 1930 U.S. Federal Census, by Ancestry.com, Year: 1930; Census Place: Franklin, Sauk, Wisconsin; Roll: 2609; Page: 8B; Enumeration District: 0013; Image: 124.0; FHL microfilm: 2342343. Married Name Her married name was Friede. Rita Brickl married Robert Friede. 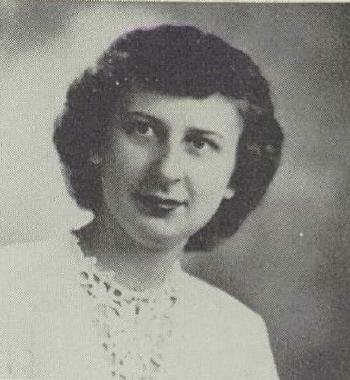 Rita Brickl was born circa 1931 at Wisconsin. She was the daughter of Michael S. Brickl and Loretta M. Aaron. Rita Brickl died before 2016. Married Name Her married name was Griffith. Valeria Heiser married (?) Griffith. Valeria Heiser was born circa 1923 at Wisconsin. She was the daughter of Roman Christ Heiser and Caroline M. Dischler. Name Variation Clarence Heiser was also known as Jim. Clarence Heiser was born circa 1924 at Wisconsin. He was the son of Roman Christ Heiser and Caroline M. Dischler. Clarence Heiser married Lori (?) before 1987. Clarence Heiser married Delores (?) before 2003. Viator Heiser was born on 2 April 1926 at Wisconsin twin with Victor. Viator Heiser died before 2003. Name Variation Roman Heiser Jr. was also known as Buck. Roman Heiser Jr. was born on 23 April 1928 at Loganville, Sauk, Wisconsin. Roman Heiser Jr. married Florence Gundlach on 25 June 1966. Roman Heiser Jr. died on 27 October 2003 at Plain, Sauk, Wisconsin, at age 75 Roman J Heiser obituary. Married Name Her married name was Kilian. Caroline Heiser married Elmer Kilian. Caroline Heiser was born circa 1933 at Wisconsin. Melvin Heiser was born circa 1935 at Wisconsin. Marvin Heiser married Judy (?). Marvin Heiser was born circa 1935 at Wisconsin. Kenneth Heiser married Ann (?). Kenneth Heiser was born circa 1938 at Wisconsin.